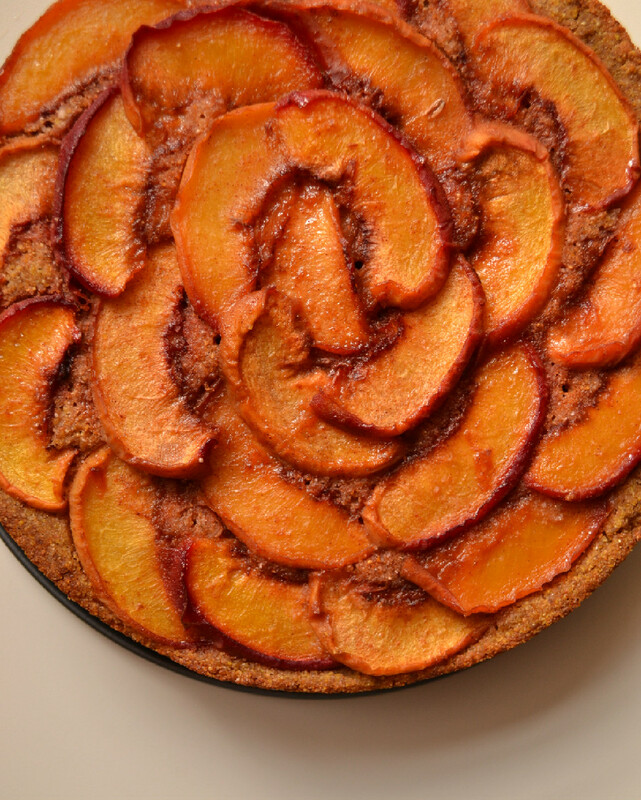 Having grown up in Ontario, August became synonymous with peach season. I looked forward to it each year and when I moved to Toronto it didn’t take me long to discover the Niagara peach festival which became an annual ritual for me. In fact this was the first August in years that I didn’t make it to the Niagara region for peach season, as we decided to keep our August holidays local. The good news is, now that I’m living in Italy, I can enjoy a slightly longer peach season, from June to September. There’s nothing quite like biting into a ripe peach so juicy that it trickles down to your wrists as you eat it. This past Sunday, I awoke early with a baking project on the brain once again. 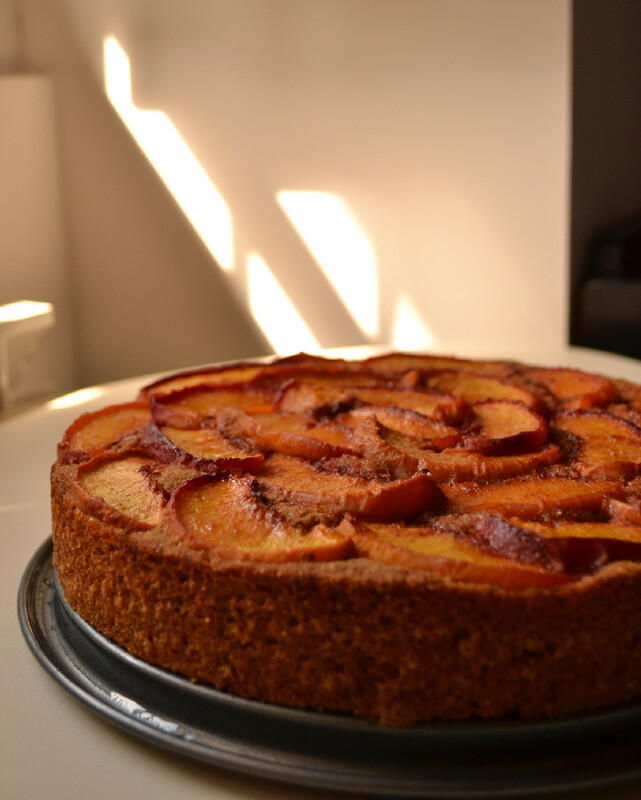 So I decided to make a breakfast cake with the last of this seasons peaches. 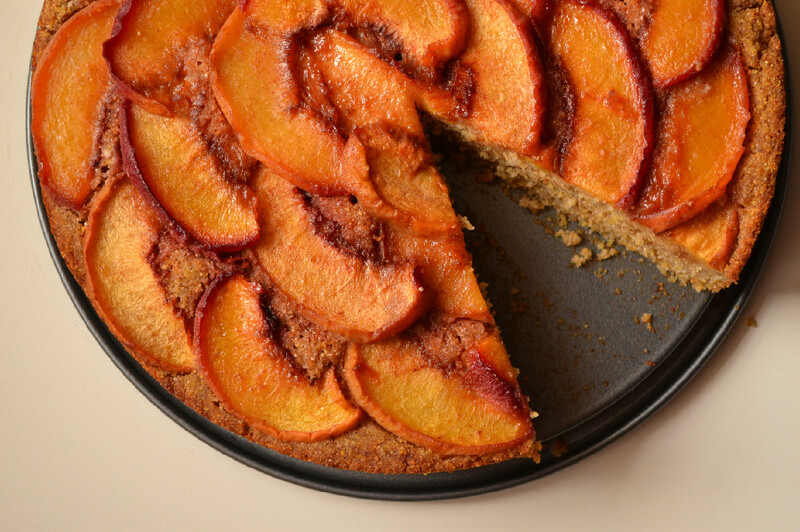 The wonderful thing about this cake, besides the caramelized peaches, is that it’s quite light and healthy as far as cakes go, so you can enjoy a slice for breakfast without the guilt. Measure about one peach worth of wedges into a deep container and create a purée using a hand blender (if you don’t have an immersion blender you could always use a blender or food processor). This will make a heaping 1/2 cup of purée that you will need for the cake batter. 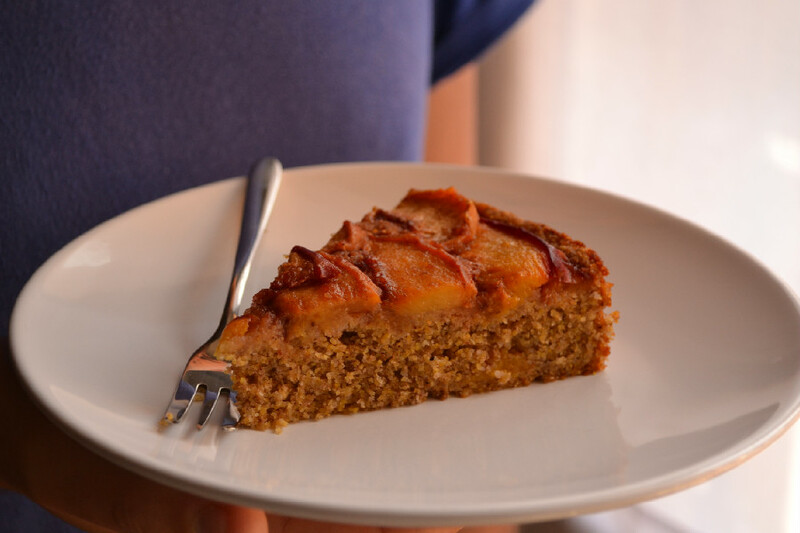 This cake is best eaten warm, so if you have leftovers, reheat the slices in the oven (or toaster oven) on 200 C for about 5 minutes before serving. Can be wrapped and stored at room temperature for up to 3 days or in the refrigerator for up to 5 days. So glad you liked it. Thanks for the feedback.